Across Kafour Street, towering over Villa Castro, stands Palais Suares better known today as the Mr. & Mrs. Mohammed Mahmoud Khalil Museum, home to the richest French impressionist collection in the Middle East. It is most certainly the handsomest mansion on Giza's riverside drive. Like its peers on the strip, it lacks neither history nor drama. One could think of several reasons by which a private art collection becomes the mainstay of a museum, but a woman's wrath wouldn't usually be among them. Yet in the case of the Mr. & Mrs. Mohammed Mahmoud Khalil Museum, vengeance turns is the principal reason Egypt inherited a first-class French impressionist collection. Mohammed Mahmoud Khalil Bey and his French wife, the much bejeweled Emilienne Hector, were the longest residents ever at No. 80. The childless couple loved to entertain and Emilienne loved to overdress. When Mohammed Mahmoud Khalil briefly took a much younger and stunning second wife, Emilienne's wrath knew no limits, especially when her rival gave birth to a son. When Khalil Bey died in Paris in 1951, Emilienne, who refused to recognize any other presumed 'Khalil' heir, rewrote her massive will ensuring house and its priceless art collection went to the state. She also included a codicil that the house be turned it into a public museum. Her wishes were followed to a 'T’. Henceforth the palazzo became the "Mr. & Mrs. Mohammed Mahmoud Khalil Museum." When Sadat took power in 1970, the Khalil Museum was closed down by Executive Order. The President and his vast entourage needed additional accommodation. A new East Wing was improvised at the expense of the artistic community since the venue of the new executive wing was none other than Mr. & Mrs. Mohammed Mahmoud Khalil Museum and its adjoining garden. Although it took only one day to expropriate the museum, it was fifteen years after Sadat's assassination for a return to the status quo ante. On 3 October, 1995 a refurbished Mr. & Mrs. Mohammed Mahmoud Khalil Museum was officially inaugurated by President Mubarak. Once again the museum's beautiful glass and steel pergola, its Doric arches and its symmetrical facade came alive. And once more art lovers could admire the museum's art treasures in their original setting. Not returned to the Museum however, is Khalil Bey's priceless jade collection. 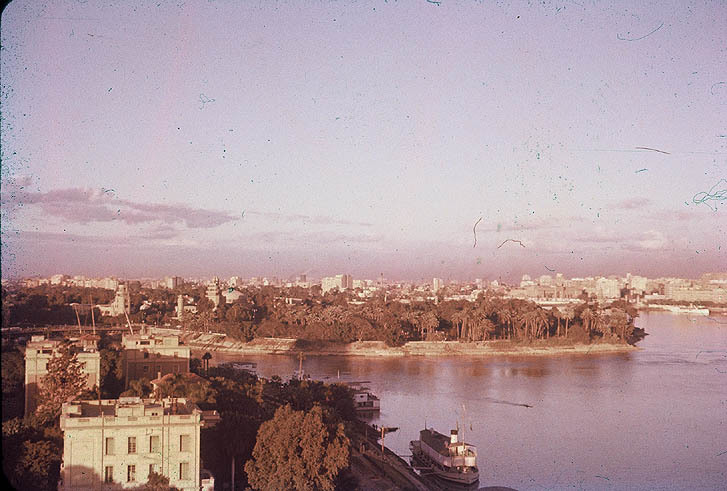 Also destined never to return to Giza's riverside drive were several stately Dahabiehs--houseboats. One of them, the "Feirouz" (mentioned earlier) was leased to businessman Gustave Heller and his noble born wife, a Saxe Cobourg no less. It berthed opposite Kafour Street, (today Sadat's former heliport). One day, due to a mid-river collision the Feirouz sank to the bottom of the Nile taking with it several objets d'art and a lifetime collection of family mementos. There were other handsome Dahabiehs moored along this portion of the Nile. These would eventually disappear making way for various rowing associations, yacht clubs and colorful speakeasies. Next to the Mr. & Mrs. Mohammed Mahmoud Khalil Museum stands another palace with the misnomer of the "Petit Palais." This former royal residence was built around 1919 in typical khedivial baroq-coco revival style that characterized so many of Egypt's royal palaces. For a long time the Petit Palais was the residence and Daira (privy offices) of Princess Fawkia, King Fouad's only daughter from his unhappy conjugality to his cousin, the wealthy Princess Shuvikar Ibrahim. Whenever Princess Fawkia was not "at home" it invariably meant she was in Europe where her husband Mahmoud Fakhry Pasha who served as Egypt's first and long-time Egyptian Minister to France since January 1924. Aware that King Fouad was planning a state visit to France, the Fakhrys contemplated buying Hotel Matignon. The deal fell through when the legal successors (Austrian government) of that most famous of Paris mansions reclaimed it in a lengthy legal battle. Unable to wait out the court's decision, the Fakhrys occupied a large suite at Hotel Majestic on Rue La Perouse before moving into a handsome edifice (No.2) overlooking the nearby Place des Etat Unis. Not exactly the Matignon, the official residence of Egypt's ambassadors to France was originally built and designed in 1886 by leading architect Paul-Ernest Sanson for Odessa-born magnate Jules Ephrussi, one of the more famous bankers and art collectors of his day. Yet one cannot help but ponder had the Hotel Matignon sale gone through, French prime ministers starting with Gaston Doumergue would have handled affairs of state in a location other than the one they have occupied since 1934. On 15 June 1952 Princess Fawkia sold her Nileside palace to her favorite half-sister Princess Faika (wife of Mr. Fouad Sadek) for the sum of LE 205,290. The princess never moved in since, as of 1949, the Giza palace was the temporary headquarters of the newly created Majlis al-Dawla (Council of State). In fact, the Majlis was still a tenant in 1952 as shown by a lease-renewal contract drawn out on June 16 evidencing the rent sum of LE 300 per month and that the incumbent president of the Majlis was Abdelrazak el Sahnoury Pasha. The Majlis is still there today minus the garden which was sacrificed for a massive granite and marble office building needed to accommodate an expanding bureaucracy. Sadly, the state did not see fit to leave a respectful distance between the new structure and Princess Fawkia's former palace. Meanwhile, and following the death of her husband, Princess Fawkia, a sensitive woman with hidden literary talents, abandoned public life becoming recluse. She spent her remaining 20-odd years in a seven-room suite at the Dolder Hotel in Zurich. On 9 February 1974, the hotel's room service discovered the aged princess stone dead in an armchair surrounded by countless unopened parcels. As her estranged son and only heir took stock of the family jewels, he was reportedly at a loss over the disposal of Comte d'Adix, the princess' long departed White Russian companion. His body was still in the custody of an embalming company awaiting Fawkia's instructions. The sad princess' visits to the mummified Comte d'Adix were reportedly her only sorties from her hotel suite. Facing the Nile, at a short distance south of the State Council complex (Majlis al-Dawla), stands the redbrick Art Nouveau villa which belonged to the Credit Foncier Egyptien. Today it is the Mubarak Public Library. Unknown to many especially those who wrongly believe No. 4 Tahawia belonged to a so-called Tahawi Pasha, this building was originally divided into two palatial apartments. From the early 1930s until they left Egypt in the late 1950s, the upper level was home to Marcel Vincenot while the ground level and garden was the residence of Emile Minost. They were the veteran French bankers who ran the Credit Foncier located on Abdel Khalek Sarwat Street (today the headquarters to the Arab International Bank building). In the early '90s, Villa Credit Foncier received a much needed facelift when architects Mamdouh al-Habashi and Achim Krekeler, both under contract from Germany's Bertelsmann Foundation, began to turn the former hotel particulier into a state-of-the-art library. Instead of the demolition ball the house was given a new lease on life. Scaffoldings were erected and very slowly, cornices, balustrades and high-reliefs depicting tropical vegetation were restored -- an undertaking that would have pleased the building's French architect-designer, Monsieur George Parcq (his other works include Sednaoui Building on Midan Khazindar, Villa Sednaoui and the Pakistani Ambassador's residence in Garden City, the French chancery in Giza, the Bourse du Caire and No. 4 Saray al-Kobra, Garden City). On 21 March 1995 No. 4 Tahawia was the scene of much excitement when President Mubarak, accompanied by Klaus Kinkel and Rita Susmuth, Germany's Minister of Foreign Affairs and the Bundestag's President respectively, inaugurated the new Giza Public Library or Mubarak Library as it is now called. 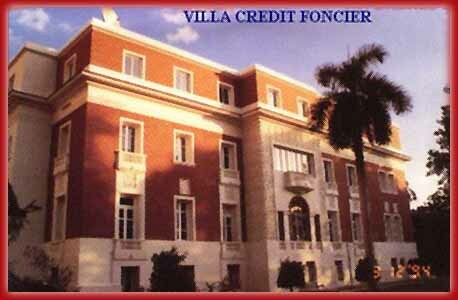 Villa Credit Foncier, once a sign of Franco-Egyptian cooperation became a symbol of collaboration between Egypt and Germany, courtesy of the Bertelsmann Foundation. But before becoming a respectable library, No. 4 Tahawia Street went through rough times when it was visited in turn by notoriety and disgrace. Notoriety, because it was handed free of charge by an accommodating Free Officers regime to one of its own --officer Abdelhakim Amer who hailed from the small town of Estal in Upper Egypt. Amer, his first wife and six children, lived at No. 4 Tahawia Street in hillbilly splendor for almost a decade. But, like the proverbial house of cards, it all came tumbling down following the army's humiliating defeat during the June 1967 War. 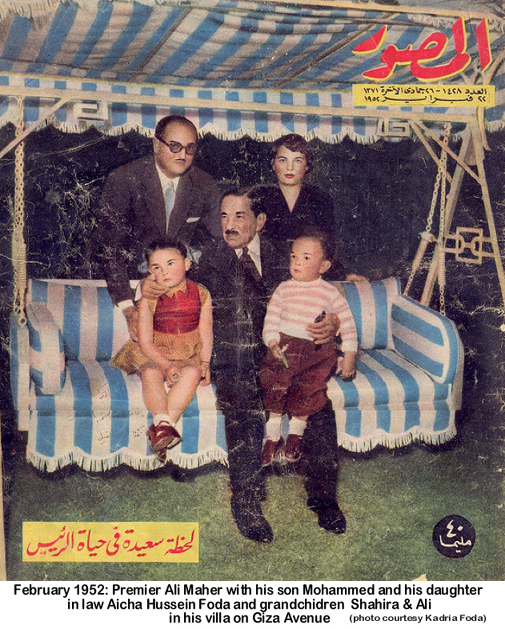 Instead of delivering the much ballyhooed victory, Egypt's No.2 man -- for by now Amer was Egypt's first vice president -- lost his entire air force as well as the Sinai Peninsula. The war ended so quickly, neither Amer's Field Marshal Baton nor his multiple decorations had had time to be put to the test! Disgrace, because when Amer and the Free Officer's bravura had brought defeat rather than the promised victory, the panicking regime, in search of a fall guy, stripped Amer of his munificent ranks and lofty positions. Ostracized by his peers who only a few weeks earlier had hailed him as the Great Commander, the ex-field marshal was now on his own. Another house of wounded pride lies in the back of No 4 Tahawia. 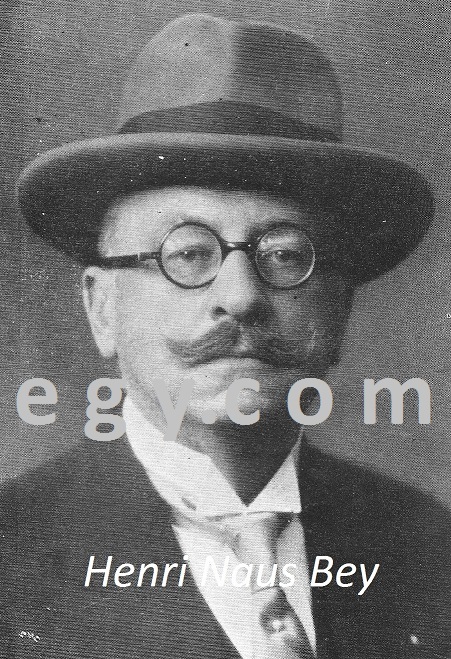 Its last Egyptian owner was Ali Maher Pasha (1883-1960), Egypt's pro-German WW2 prime minister. It was to Maher Pasha that the Free Officer's entrusted the first post-Farouk government. Relegated to a mere yes-man, the warrior-politician went into self-imposed confinement and died a despondent, forgotten man. His house subsequently became the Embassy of the Kingdom of Cambodia and later that of the reprehensible Republic of the Khmer Rouge. South of the Credit Foncier Villa is the Giza Public Water Works Authority, almost as old as the suburb itself. Earlier this century, the water works was considered the unofficial demarcation line separating the lands of Prince Hussein Kamel (sultan of Egypt from 1914-17) to the north, from the Zervudachi estates to the south (extending to the Giza Bridge). On the south side of the water works, across Yemen Street (ex-Souk al-Ahad), stood "Les Flamboyants" the villa of Henri Naus Bey, the Belgian director of the Sucreries Egyptiennes. Naus Bey, regarded by many as the father of Egypt's sugar industry was the head of the Industrial Federation of Egypt. The story goes that because his name "Naus," means "half" in Arabic, Henri Naus Bey never made it to pasha. It would have sounded odd to have someone called His Excellency Half-Pasha! Half-Bey was the limit propriety could go. Although the much older Villa Naus disappeared, on its extended property fronting the Nile (No. 66 Nile Street) still stands Naguib Salha's Mediterranean-style villa designed in the early '50s by architect Sabet Barsoum. Salha, who made his fortune in the Gulf long before the oil rush, is often described by contemporaries as Lebanon's first nouveau riche. Besides owning four imposing buildings on Cairo's Cherif Street (at the intersection with 26th of July) and a much talked about villa in the center of Beirut, he is also credited for having built the Phonecia, Lebanon's first glitzy hotel rivaling legendary institutions such as the St. Georges. His Giza villa was occupied by senior American diplomat Jefferson Patterson before becoming home to a string of polo-playing Argentine ambassadors. Today it lies abandoned used mostly as a depot for rusty old cars strewn all over its once elegant driveway. Next to Les Flamboyants on the south side of Ramah Street is Cairo University's School of Oriental Studies once the Cairo residence of Auguste Luzatto Pasha (1844-1909). 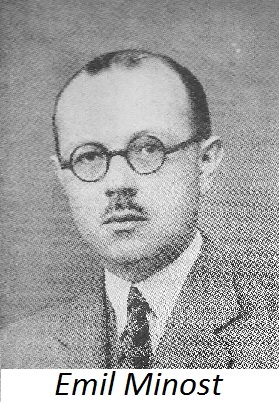 An Italian Jew, he was the director of the Banque d'Egypte before it went bankrupt. It is said Luzatto was Alexandria's earliest slum-lord, whereas in Cairo he reportedly owned several important buildings including No.36 on the 26th of July Street. It was following Luzatto Pasha's death in Alexandria on 19 February 1909 that his heirs sold the Giza house. 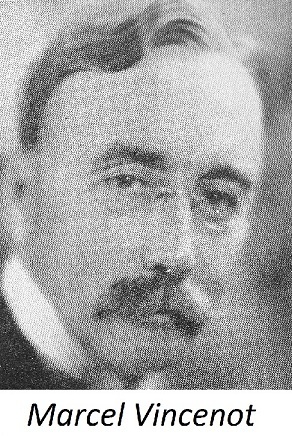 A subsequent owner of Villa Luzatto was Solomon Moreno Cicurel was co-proprietor of the famous department store by the same name. It was in the villa's upstairs bedroom that he was brutally murdered on 4 March 1927 by his Italian chauffeur assisted by an Italian, Greek and Jewish accomplice. Very quickly, Cicurel's murder was the society event of the decade. Unable to cope with the sad souvenirs and the on-going publicity, his widow, Elvire Toriel and her three children, moved out of the villa. Years later, Elvire Toriel lived on Rue de la Faisanderie, Paris, not far from where her eldest daughter would relocate to a much grander address. As the wife of Pierre Mendes-France, France's prime minister in the early 1950s, Lili Solomon Cicurel was the proud occupant of Hotel Matignon, the same mansion which had interested the Government of Egypt back in 1926 as a possible headquarters for its embassy in France. During the early 1970s, the land beyond Cicurel's former garden in Giza made way for a skyscraper dubbed the Swissair Building, so called because of the restaurants by the same name on the ground and first floors.